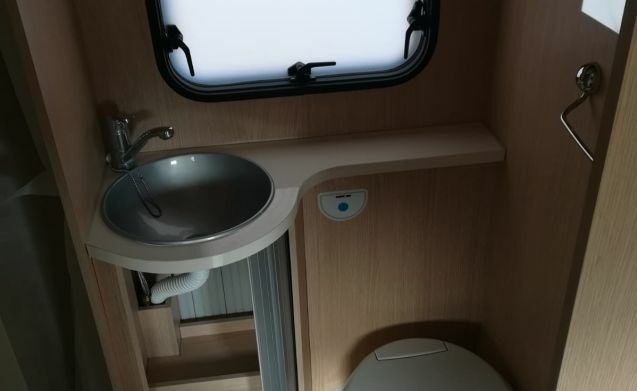 This brand new integrated 5 person camper was added to our fleet in August 2018. 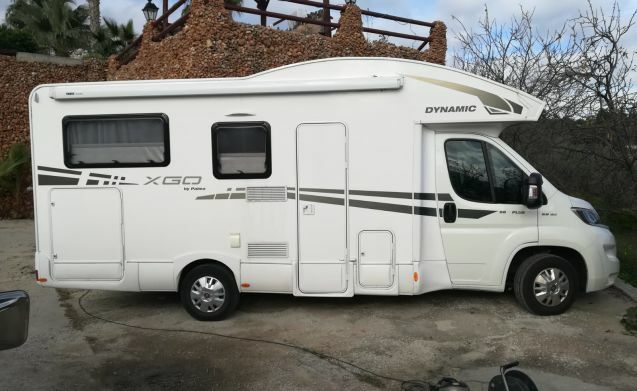 This luxury 5 person camper van rents you nowhere else for the incredible price of 125 € per day. 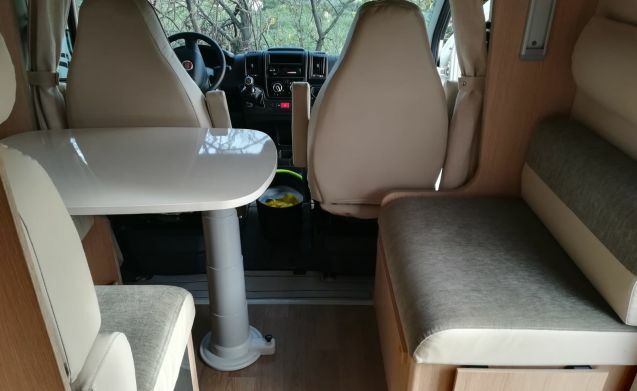 The comfortable dining seat offers plenty of space for 5 people. The kitchen area is conveniently close to the dining table. The captain chairs from the cabin integrate perfectly with the sitting-eating area. 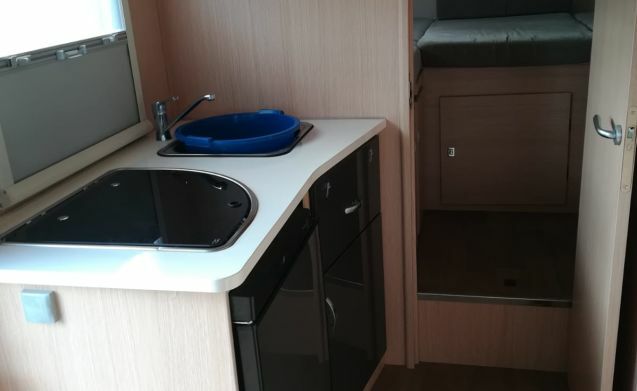 The kitchen of this camper is fully equipped. 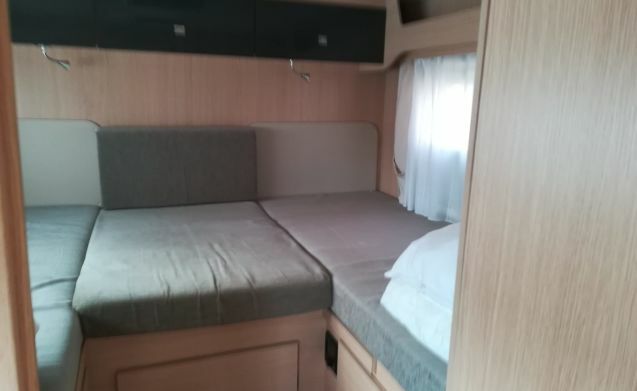 The rear bedroom is equipped with 2 large comfortable beds. 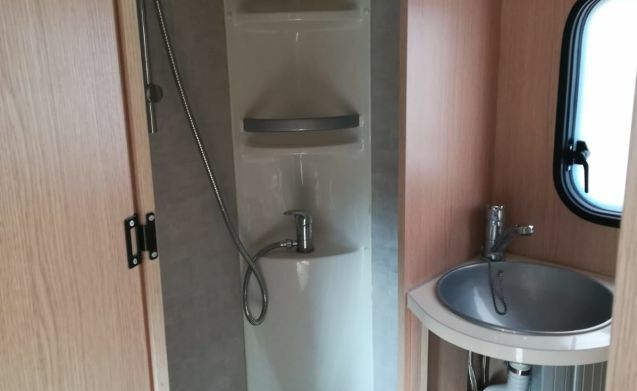 In the shower cabin we find the toilet, sink and shower room.